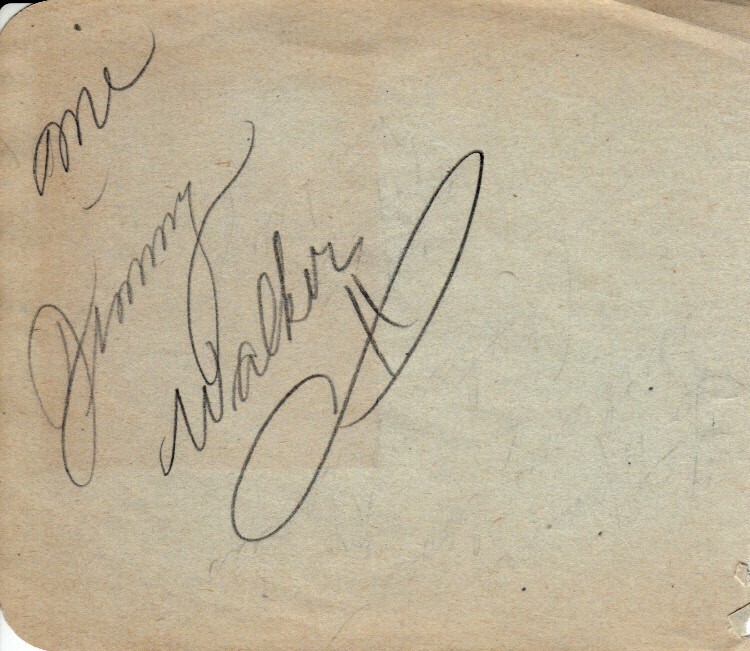 Roughly 4 1/2 by 5 inch autograph album or book page autographed in pencil by country music pioneer Jimmy Walker, who briefly headlined the Grand Ole Opry and passed away in 1990. 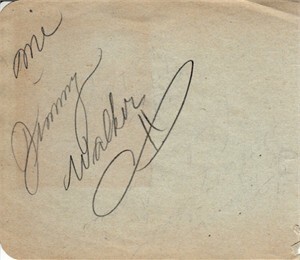 Walker is one of the underrated country musicians of the 1940s, 1950s and 1960s. Obtained from the family of a Hollywood housekeeper who cleaned the house of the rich and famous during the 1940s. With certificate of authenticity from AutographsForSale.com. ONLY ONE AVAILABLE FOR SALE.